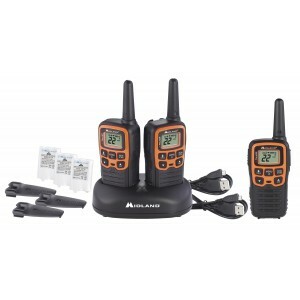 The .Midland T290VP4 is a full featured GMRS Two Way Radios in a handy value pack with exciting extras! 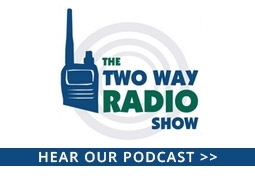 The T290 has 22 GMRS channels plus 14 extra pre-programmed privacy code channels, advanced weather technology with weather scan and weather alert and 121 privacy codes. 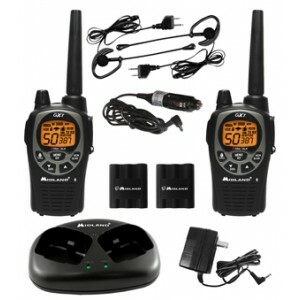 Fully compatible with other FRS/GMRS radios, the X-Talker T290VP4 Value Pack comes with all the extras you need to communicate with the rest of your group in style. The .Midland T295VP4 is a full featured GMRS Two Way Radios in a handy value pack with exciting extras and a camo design! The T295 has 22 GMRS channels plus 14 extra pre-programmed privacy code channels, advanced weather technology with weather scan and weather alert and 121 privacy codes. Fully compatible with other FRS/GMRS radios, the X-Talker T295VP4 Value Pack comes with all the extras you need to communicate with the rest of your group in style. 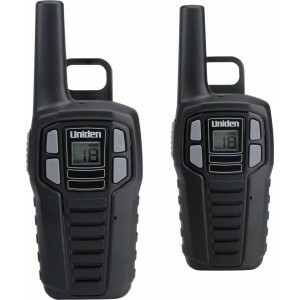 The Uniden SX167-2CH is a low cost FRS two way radio with to keep you connected while out biking, camping, traveling or shopping with family and friends. 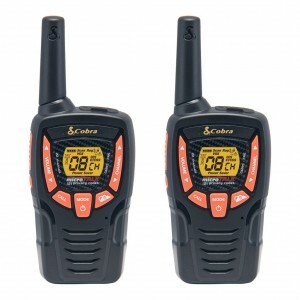 The SX167-2CH supports 22 FRS channels plus NOAA emergency weather channels to keep you informed of weather conditions. 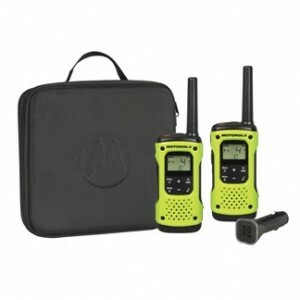 Enter a new age of FRS excitement with the Motorola Talkabout T800 Two Way Radio! The T800 works like a standard FRS walkie talkie, but it's no regular radio. It uses a Bluetooth® connection to your smartphone as well, so you can share locations, messages and and more while you go off-grid! 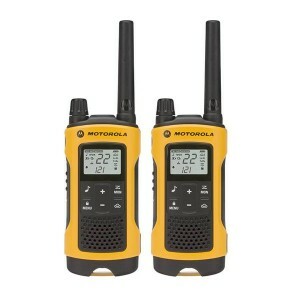 Stay connected during your next outdoor adventure with the Motorola Talkabout T605 H2O two way radio! 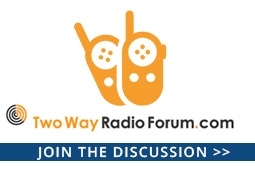 The T605 is an FRS/GMRS radio built for outdoor activities so you can freely communicate with greater reliability in the wild. 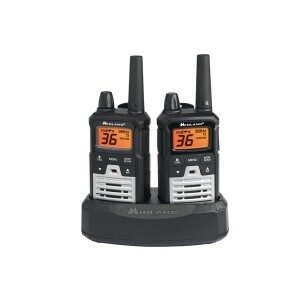 It has 22 channels, 121 privacy codes, 11 weather channels and NOAA weather alerts, for instant compatibility other FRS/GMRS radios while boating, hiking, fishing, snow sports or your next trek on the trail. It's also a ready add-on to your emergency preparedness kit. Get into the outdoors with the Motorola Talkabout T402! It's great for your outdoor excursions and everyday activities to help you stay connected to family and friends. 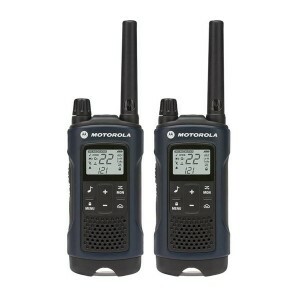 With 22 FRS/GMRS channels, 121 privacy codes, 11 NOAA weather channels and weather alerts, the T402 is ready for your next trail hike, camping trip or simple stroll through your back yard. 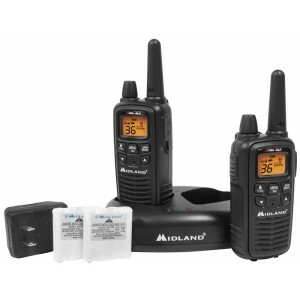 The Midland LXT-600-VP3 is a compact, general purpose FRS/GMRS two way radio for camping, hiking, or all around family activities. The LXT600 has a maximum range of up to 30 miles in optimal conditions (typically less than .5 mile in urban conditions). 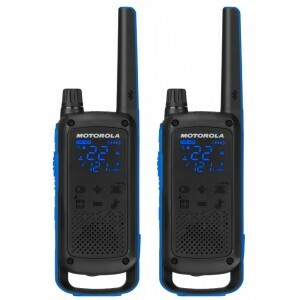 The Motorola Talkabout T280 keeps your family your group ready with instant radio communications in emergency situations. 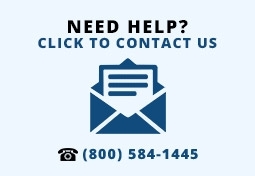 With plugged-in and always-on connectivity, the T480 helps you stay ready for an emergency when cell phone service is down or you lose power. Get the most out of your outdoor adventures with the Motorola Talkabout T460! It's a great companion when taking the trail, out at the campsite or skiing down the slopes. 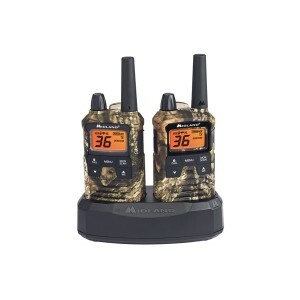 It has 22 FRS/GMRS channels, 121 privacy codes, 11 NOAA weather channels and weather alerts to keep you ready for your next excursion into the wild or into the back yard. 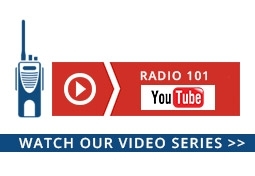 Get more out of your GMRS mobile experience with the Midland MXT115VP3 GMRS Two Way Radio Value Pack! This kit has everything you need to maximize the performance and range of the MXT115 in one boxed bundle at low cost! 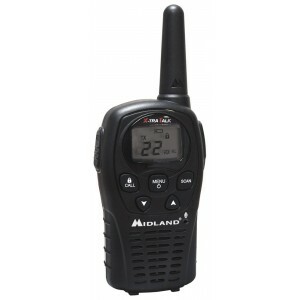 The Midland LXT-500-VP3 is a compact, easy to use two way radio that's great for family outings. The LXT500VP3 has a maximum range of up to 24 miles in optimal conditions (typically less than .5 mile in urban conditions). Its small size and light weight make the LXT500VP3 a perfect choice for situations where size counts more than power.